Happy birthday, Indiana! We’ve spent this past year celebrating 200 years of statehood and Dec. 11 is officially the 200th birthday of our state. To honor our great Hoosier home, we’re taking a look back at some of the ways we’ve paid tribute to the state’s bicentennial right here in Hamilton County. This spring, trees were planted at eight area parks as part of the Bicentennial Trees of Hope program as a living legacy to future generations and the next 200 years of Hoosier history. Some of the parks include Forest Park in Noblesville, Cicero Community Park and Dolles Park in Atlanta. Libraries throughout Hamilton County celebrated the bicentennial with a special Hoosier reading program to honor the history of the state. The program encouraged readers to visit historic sites throughout the county and then share with photos, songs and art at their local library. 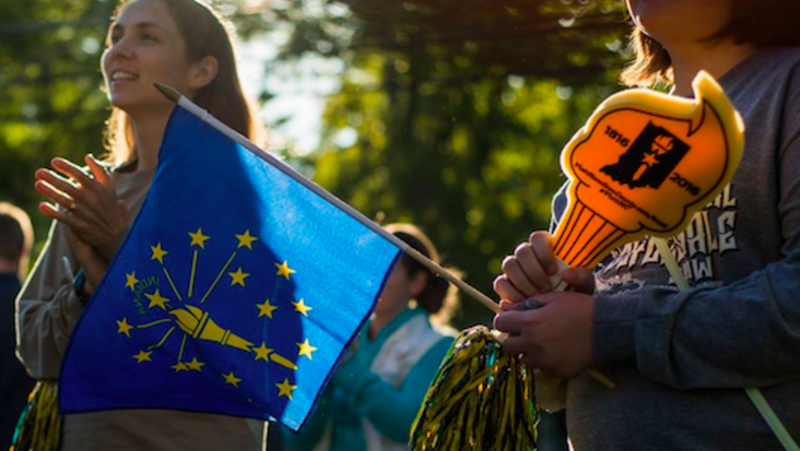 In mid-October, the Indiana Bicentennial Torch Relay traveled through Hamilton County, including Carmel, Westfield, Fishers and Noblesville. Thirty-seven community members carried the torch and made stops at area churches, Conner Prairie, Fishers Town Hall, The Palladium and Hamilton County Courthouse in Noblesville. Looking for ways to celebrate Indiana’s Bicentennial in style? Check out these events right here in Hamilton County for some special ways to wish the Hoosier state a very happy 200th birthday! On Dec. 11 from 2 p.m. to 4 p.m. you can have cake and ice cream as you join in wishing Indiana a very happy birthday and celebrate the yearlong efforts of the library to remind us what a great state we all call home. This free exhibit of singers, songwriters and songs of Indiana is located on the Gallery level of the Palladium and is open 10 a.m.-4 p.m. Monday thru Friday. Gather at the Hedgehog Musical Showcase in Arcadia Dec. 10 at 7 p.m. to hear songwriters from around the state present their works inspired by this year’s bicentennial. 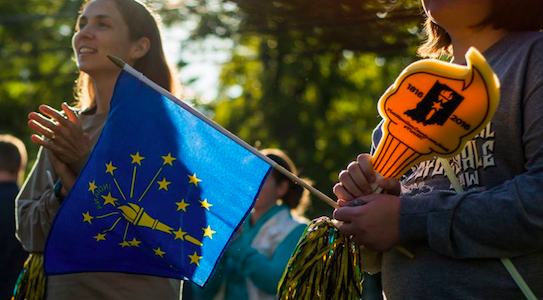 How did you celebrate Indiana’s 200th birthday? Let us know in the comments or by tagging us on social media using #VisitHC and @VisitHamiltonCo. Lindsay Parker Williams has lived in Indiana for more than 15 years and you'll often find her taking a new way home just to see what new adventures await. She's been known to drag her husband and two boys along in a never ending quest for the next new hike or the perfect ice cream cone, usually without much complaint. When not exploring, you can often find her cheering for her beloved Butler Bulldogs or hopelessly searching for a quiet spot in her house to curl up with a book. Follow her personal blog: http://www.letmegiveyousomeadvice.com/.